The First World War plaque and Memorial Windows were unveiled during the morning service on 19 December 1920 by the Rev. J. Wilson. 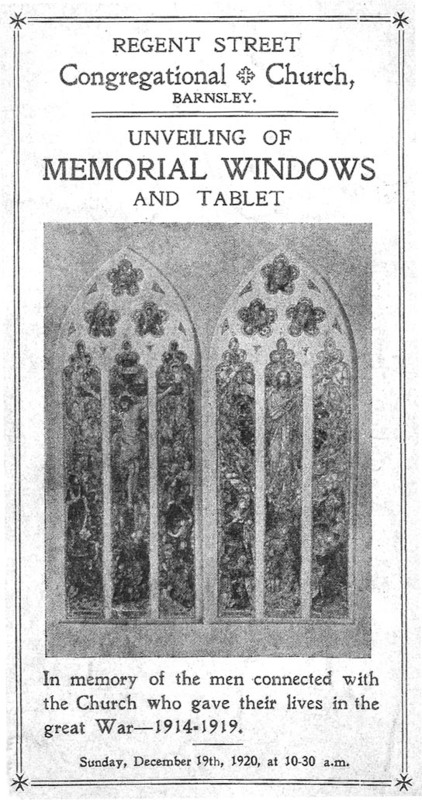 The souvenir programme (shown right from Barnsley Archives) notes that 130 men from the Congregation "went forth to defend their Country". The Second World War panel was added to the bottom of the original plaque in 1951 and the total cost of this addition covered by a church member. 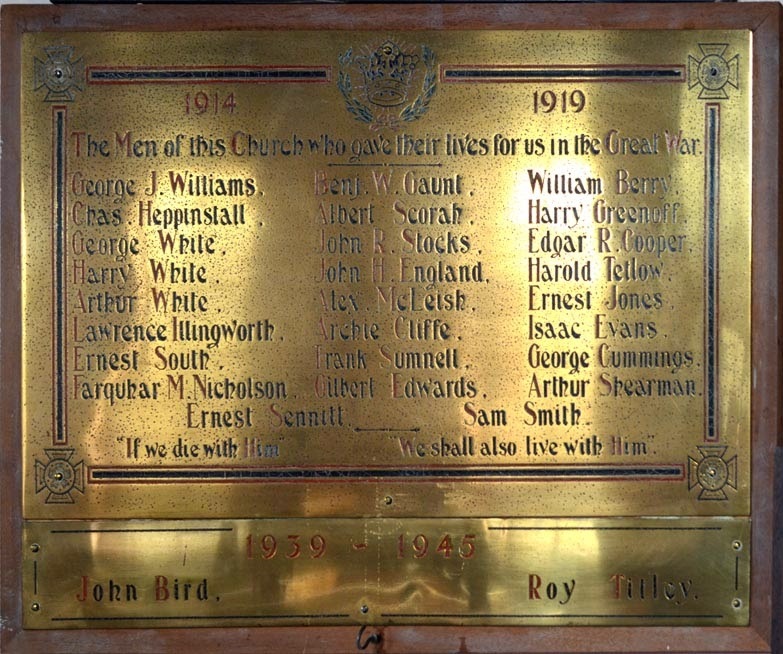 The plaque was saved when the church on Regent Street was demolished in the 1960s and now on display in the Congregational Church on Farrar Street, Barnsley. "If we die with Him" "We shall also live with Him"